☑ Read a book starting with the letter "E"
My favorite non-fiction book was I Kissed Dating Goodbye by Joshua Harris. Character Interview! 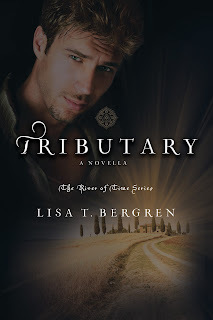 Sir Luca Forelli from Lisa T. Bergren's River of Time series! 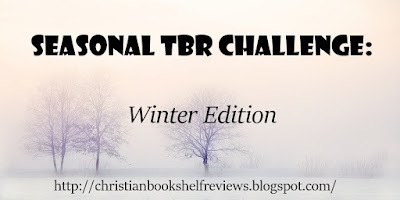 I signed up for another reading challenge (Non-Fiction Non-Memoir 2012 Reading Challenge) and I completed another reading challenge (1st in a Series Challenge). 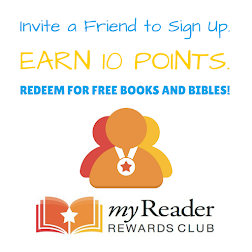 I didn't read as many books as I wanted to (I am one away from my goal! ), but I'm still happy with the amount I read. I interviewed some great authors and Luca Forelli! :) All in all, I am really happy with what I accomplished this month. A book starting with the letter "E"
Now it's your turn! What did you accomplish in June, what do you hope to accomplish in July? Weekend Report (#36) and Giveaway Winners!! 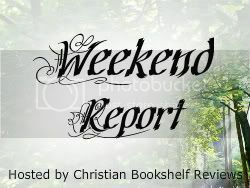 Weekend Report is where I share what I accomplished (book-wise) the previous week! Feel free to join along and post your own Weekend Report on your blog/site. If you do, please leave the URL in a comment below. I'm 34% done with this book. 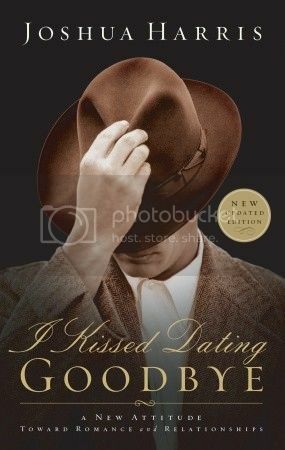 I don't know whether or not I'll be posting a review of I Kissed Dating Goodbye, but I did love that book! :) It was great! Alejo is a leader in the Prism, a Muslim organization bent on fighting social injustice in his native Bolivia. His passion for God's justice has always led him far away from the church and its dark secrets he has seen with his own eyes. Wara Cadogan's friends think she's the ideal missionary in Bolivia, but they don't know the truth: she betrayed her values, and it's tearing her apart. When Wara and her best friend Noah collide with the Prism, she believes Noah is dead and Alejo is to blame. He's a killer. Who took everything from her. What is she supposed to do when he gives up everything to save her? In a culture that mocks our longing for tender romance, in a world where fairy tales never seem to come true — do we dare hope for more? 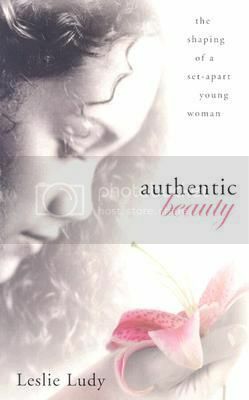 For every young woman asking that question, this book is an invitation. With refreshing candor and vulnerability, bestselling author Leslie Ludy reveals how, starting today, you can experience the passion and intimacy you long for. You can begin a never-ending love story with your true Prince. 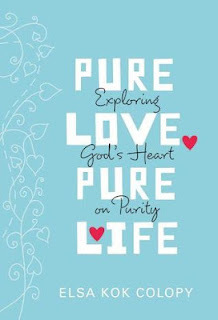 Discover the authentic beauty of a life fully set-apart for Him. Experience a romance that will transform every part of your existence and fulfill the deepest longings of your feminine heart. 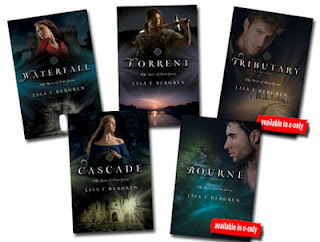 Another chance to win your choice of one of the River of Time books - Waterfall (Print or eBook), Cascade (Print or eBook), Torrent (Print or eBook), Bourne (eBook only), or Tributary (eBook only). US only. Here is the link to enter. Three people will each receive the first three books in Michael Jewell's Old Sodus series! (At Home In Old Sodus, Life In Old Sodus, The Big Farm In Old Sodus). Giveaway is open to the US and Canada. Here is the link to enter. *Winner has been contacted. If I don't hear back from her by July 7th, I'll choose a different winner. 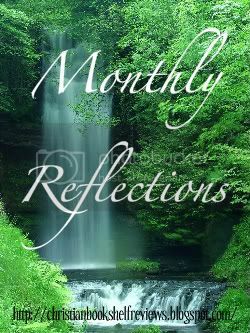 I'll be posting my Monthly Reflection post later today or tomorrow. Before Perry disappeared, Frannie Eicher and Perry had been secretly courting. Now that it’s common knowledge that he was murdered, it’s up to Fannie to decide whether or not to tell everyone about the secrets he told her. After much deliberation, she decides to tell Luke Reynolds, the visiting police officer, what she knows. At first, the two meet only on the context of discussing Perry’s death. Then, Luke begins to feel more and more at home, both with Frannie, and in Marion. The only problem is that he feels a romantic pull toward Frannie. Frannie feels that same attraction toward Luke, but is afraid to give her heart to him. After all, she doesn’t want to leave her faith. As Luke uncovers more secrets about Perry and the case draws out, his time in Marion runs out. He has to decide whether to go back to his job with the Cincinnati Police Department…or stay in Marion. If you would like to read the Prologue of The Search, go HERE. 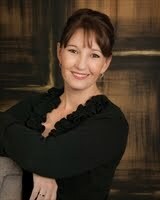 The Search is the second book in Shelley Shepard Gray's series, The Secrets of Crittenden County, and a great addition! 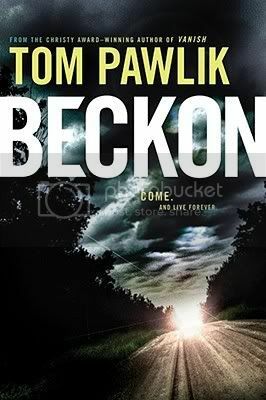 I absolutely loved the first book, Missing, and before I even read this book I expected to enjoy it... well, I loved it! 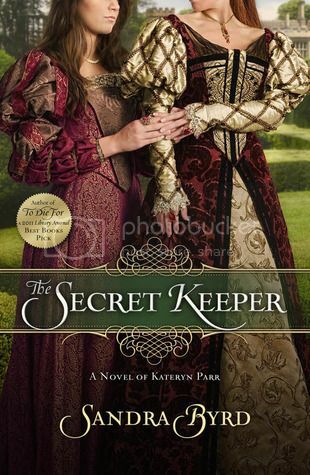 To someone like me who doesn't read that many Amish-like books, this series has been fantastic (so far). One thing in particular that has made this series so enjoyable to me is the murder mystery. After two books, I am still having a difficult time trying to decide who is the killer - right now I'm between two different people. Oh, and the characters in The Search were great. I especially liked Beth, Chris, and Luke - there are many more, though, that I liked, but I won't mention them all. 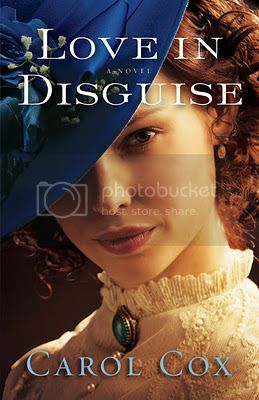 Overall, this is a wonderful book that I recommend if you like mysteries, romances, or Amish novels, because, in my opinion, it was very good. 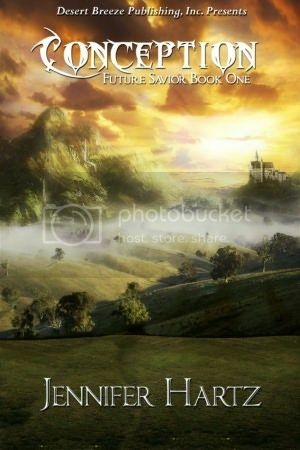 :) I am really looking forward to the final book, Found, (kinda sad that there is only one more book in this series) which is set to release later this year. 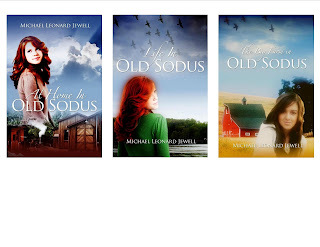 Interview & Giveaway: Michael Leonard Jewell ~ Author of the Old Sodus series! 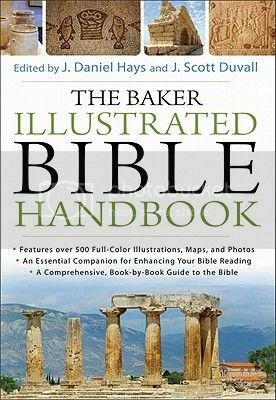 Welcome to Christian Bookshelf Reviews, Michael!! Will you tell us a little about yourself? I currently live in Sodus, Michigan with my wife Rita. I am a communications specialist for Berrien County and am also an indie publisher under the name First School Press. I attended college in Indiana majoring in pastoral theology. I tend to be a little old fashioned which is reflected in my writing. I have attended one room and two room rural schools, lived in a house that my father built on a sixty acre farm and yes—I did walk three miles per day round trip on a dusty gravel road to school. My father led me to Christ when I was eight years old. He was an amazing man. 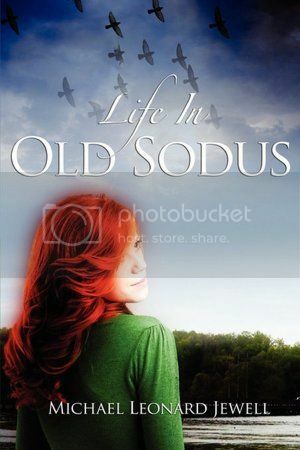 I am currently working on a series of books called the Old Sodus series. These books center around the life of a rural family in the 1970’s using Sodus, Michigan as a setting. Although I am not Amish and neither are my characters, I think anyone liking that genre (or Laura Ingalls Wilder, Gene Stratton-Porter, etc.) would enjoy these books. I have plans for at least two more in the series. I have written poetry for years but shied away from prose because it intimidated me. I had a lot of ideas and partial manuscripts written but didn’t know if I had what it takes. Several years ago after the death of my first wife, I was challenged to “fish or cut bait” and try my hand. 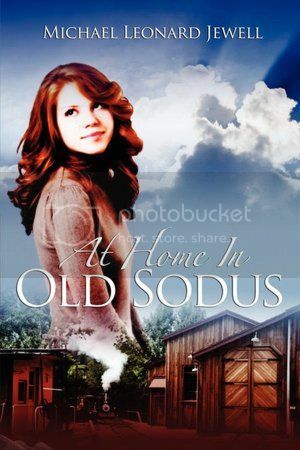 I soon published my first book—At Home In Old Sodus. I have wanted to be a writer since I was about eight years old. My father had a large library and a love for the classical writers and poets which influenced me greatly. I remember thinking then, that to be an author like Charles Dickens (my favorite), Doyle, Twain, Poe, etc., must be the finest thing in the world. How many books have you written/published and do you have a favorite? 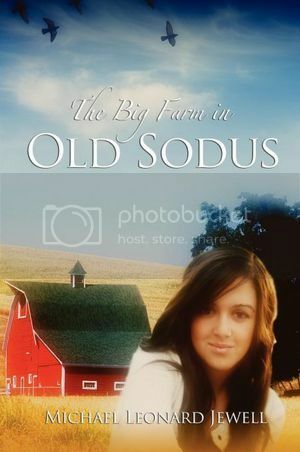 I have just published book three of my Old Sodus series. 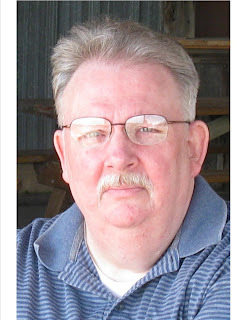 I also have several unpublished manuscripts in the hopper that I am working on. I don’t really have a favorite. Each book means something special to me. I will often work through a difficult plot in my head, especially in the early morning hours while in bed. Also, as I am composing, I am able to see the story as it unfolds in my mind as if I was a fly on the wall. I think this is what makes the stories seem real and down home. I have an office with a desk and wall to wall books but my favorite place to write is in my living room in front of my picture window where I have a view of the woods. I use a laptop with a remote mouse and keyboard. It is comfortable and helps to set the mood I need. What is the best and/or worst part about being a writer? The best part of being a writer is that I simply enjoy the experience and am able to use the gifts that God has given me. The worst part of being a writer is that I am unable to concentrate on it the way I would like since I must work a full time job. Alas, I must work full time as most self-published writers do but I enjoy doing the research for what I write. I also enjoy teaching on Creation and other subjects for our church youth group and academy. I would like to visit more of the Old West and other historical places I have read about. I look at these as opportunities and settings for new books. I fell in love with Montana on my recent visit and plan on visiting there again soon. I love them both but snowstorms are the best. Living in southwest Michigan and in the lake effect “snow belt”—they can be intense! My favorite was the blizzard of 1967. The only way you could find the street was by the tops of the mailboxes which looked like they were in the middle of an open field. It was a “three days” blizzard and took the county a whole week to dig us out. Great memories! Tea is okay, sometimes, and I like good, strong iced tea, but I am a coffee person. Nothing tastes or smells better in morning. The last time I was in a movie theater was 1977. I prefer to rent or purchase what I watch on line through Amazon or some other service. I generally become more efficient as the day wears on. I do my best writing from about midmorning to late afternoon. I like them both. Dogs are the most loyal and ask nothing of you, whereas with cats, it’s always on their terms. I’ve had some great cats though. I have just completed an historical fiction novel that takes place in Montana Territory in the late 1890’s. I am in the editing stage now and hope to have it available by late summer or early fall. I just recently spent time in the West and in Canada doing research for it. Thanks so much for being here! Is there anything else you’d like to tell readers and where can we find you on the web? My books are available on Amazon and can be accessed through the blog. I also write poetry and some of my favorites are here. In parting, let me say that what I write is always something that anyone from YA on up could read with confidence. I try to portray ordinary people going through the things that ordinary people go through, with a little added spice, suspense, mystery and warmth. My motivation is to honor Christ and He is the ultimate hero of every story. For this giveaway, there will be three winners who will each receive the first three books in Michael's Old Sodus series! (At Home In Old Sodus, Life In Old Sodus, The Big Farm In Old Sodus). Giveaway is open to the US and Canada. It was her last hope---and the beginning of a new nightmare Barbara Covington has one more chance to save her daughter from a devastating addiction, by staging an intervention. But when eighteen-year-old Emily disappears on the way to drug treatment---and her interventionist is found dead at the airport---Barbara enters her darkest nightmare of all. Barbara and her son set out to find Emily before Detective Kent Harlan arrests her for a crime he is sure she committed. Fearing for Emily's life, Barbara maintains her daughter's innocence. But does she really know her anymore? Meanwhile, Kent has questions of his own. His gut tells him that this is a case of an addict killing for drugs, but as he gets to know Barbara, he begins to hope he's wrong about Emily. The mysteries intensify as everyone's panic grows: Did Emily's obsession with drugs lead her to commit murder---or is she another victim of a cold-blooded killer? 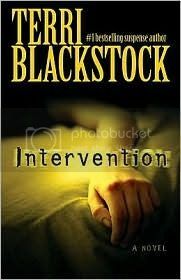 In this gripping novel of intrigue and suspense, bestselling author Terri Blackstock delivers the up-all-night drama that readers around the world have come to expect from her. I had heard so many great things about Intervention and thought I'd really enjoy it. Even though I didn't enjoy it as much as I had anticipated, I did still like it. There were times I got somewhat bored with the story, but once I got about halfway it became more interesting to read. 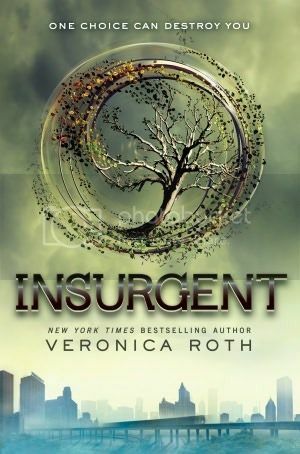 One reason why I think this wasn't really that interesting is because it deals with drug addictions, so I had a hard time connecting to the story - that, and it wasn't that suspenseful to me until towards the end. 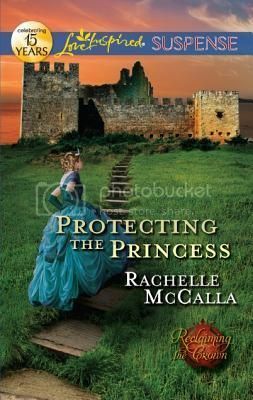 I liked the romance story and because of that I'd like to read the next book in this series. Overall, I liked Intervention and found it to be a good one-time read. There are many people who loved this book, though, so if it sounds interesting to you, I'd say give it a try. 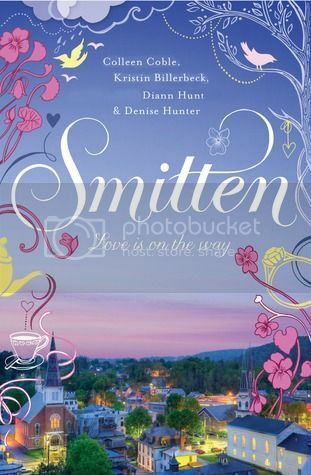 Martha Rogers’ novel Not on the Menu debuted on May 1, 2007, as a part of Sugar and Grits, a novella collection with DiAnn Mills, Janice Thompson, and Kathleen Y’Barbo. Her series Winds Across the Prairie debuted in 2010 with Becoming Lucy, Morning for Dove, Finding Becky, and Caroline’s Choice. Her other credits include stories in anthologies with Wayne Holmes, Karen Holmes, and Debra White Smith; several articles in Christian magazines; devotionals in six books of devotions; and eight Bible studies. 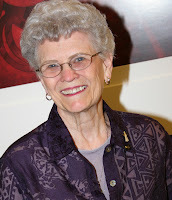 Martha served as editor of a monthly newsletter for the writer’s organization Inspirational Writers Alive! for six years and is the state president. She is also the director for the annual Texas Christian Writer’s Conference and is a member of American Christian Fiction Writers, for whom she writes a weekly devotional. Martha and her husband are active members of First Baptist Church. Can runaway Libby Cantrell finally get a new start? Libby Cantrell’s life has gone from bad to worse since her mother’s death. After working in a brothel to support her abusive father, she sees no hope for her future until one cold winter night when she finds the courage to escape. When she collapses in Portersfield, Texas, exhausted, ill, and hungry, Sheriff Cory Muldoon finds her and takes her to the doctor. Against Cory’s better judgment, Seth and Erin Winston take her in and offer her a job as a nanny for their young son. 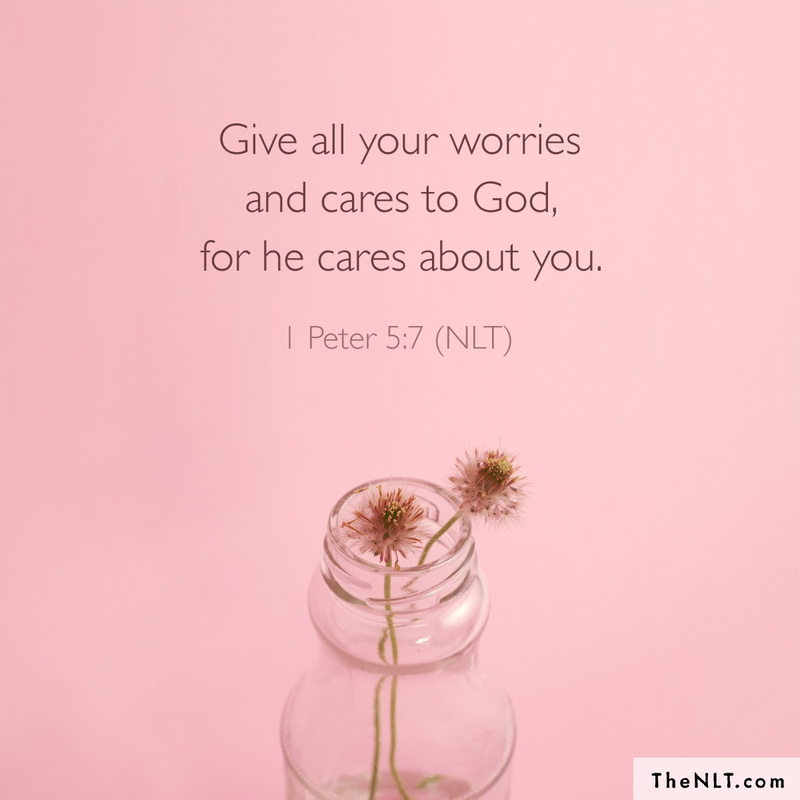 As a minister, Seth sees it as his duty to take care of her. As a deputy, Cory needs to know the truth about her even as he is attracted to the waif of a young woman. 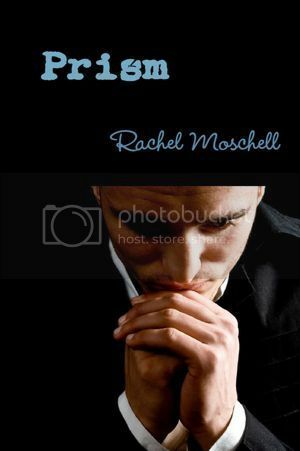 As Cory’s feelings for her grow and winter becomes spring, will he be able to accept her as she is now and truly forget and forgive her sordid past? THE COLDEST NIG!IT of winter thus far chilled Deputy Sheriff Cory Muldoon to the bone as he made his rounds in the alleyways of Porterfield. Cold wind howled around the corners of the buildings now closed up for the night. Most everyone in Porterfield had gone home to their families and warm homes. This was all the winter he cared to experience, and even this would be only a few days, as the weather in Texas could change in a heartbeat, summer or winter. despite the cold, near freezing temperatures. Most likely at least one or two of them would end up in the jail for a spell. Cory turned up the collar of his sheepskin-lined jacket and shoved his hat farther down on his head. When he rounded the corner of the livery, the gentle nickering and snorts of the horses boarded there broke the quietness of the night. A cat skittered out from behind the general store, and a dog barked in the distance. Ever since the bank robbery last fall, he or the sheriff had roamed the alleys behind the main businesses every night to make sure everything remained locked tight and secure. So far he’d seen only a typical Friday night, with everything as routine as Aunt Mae’s boarding- house meal schedule. Of course, being Friday the thirteenth, anything could happen. They already had two men put up for the night back at the jail. Sheriff Rutherford took the night duty to keep the jail cells warm so Cory could have Saturday off for his Aunt Mae’s wedding. Ole Cooter probably got drunk and disorderly just so he’d have a warm place to sleep tonight and not have to go out to his shack. Cory held no blame on the man for that. 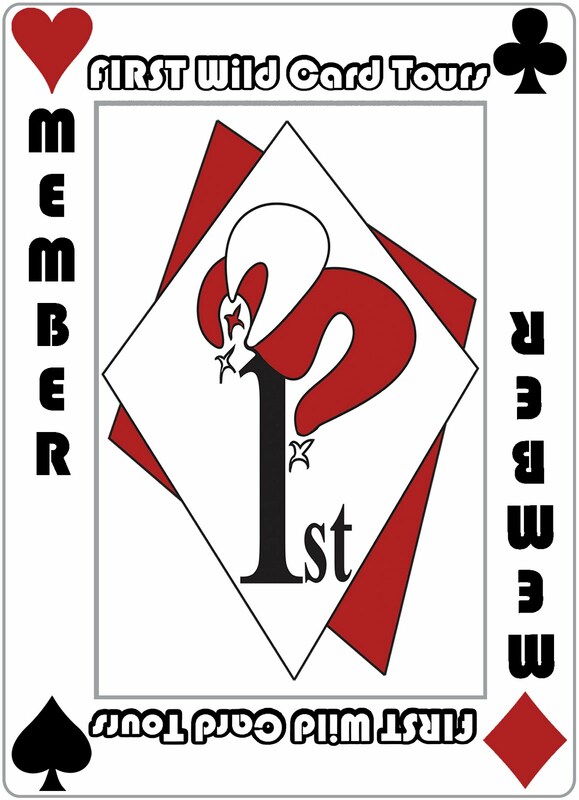 Durand, the saloon owner, caught the other man cheating at cards and had him arrested. Maybe the card shark would move his game on to some other town. He shivered despite the warm coat and hoped Abigail and Rachel would have dinner waiting for him back at the board- inghouse. What with Aunt Mae’s wedding tomorrow, those two women had taken over mealtimes until his aunt returned from her wedding trip. wouldn’t leave a heap out in the open like that. Cory hesitated in making an investigation, but the snuffling and nickering of a horse grabbed his attention. His hand caressed the handle of his gun. No one and no animal should be here this time of night. The horse, a palomino, stood off to one side. He wore a saddle, but the reins dangled to the ground. Cory went on alert, his eyes darting about the alley in search of a rider. He reached for the reins and patted the horse’s mane, then ran his hand down its flank. “Whoa, boy, what are you doing out wan- dering around?” No brand on his hindquarters meant he didn’t belong to a ranch around here, and Cory didn’t recognize the horse as belonging to any of the townspeople. Then the pile by the back door moved, and along with the movement, a moan sounded. With his hand on his gun, Cory approached the mound. An arm flung out from the heap, and another cry. This was no animal. He knelt down to pull back what looked like an old quilt. When the form of a young woman appeared, Cory jumped as though he’d been shot. Every nerve in his body stood at attention as he reached out to remove more of the cover. A woman lay huddled under the quilt, and her body shook from the cold while a cough wracked through her chest, followed by another cry. On closer inspection he realized she was younger than he first thought. Her smooth, unlined face and tangled hair were that of a young woman. She couldn’t be more than twenty, the same age as his sister Erin. peered up at him, they were so full of fear that they sent dag- gers of alarm straight to his soul. This girl was in trouble. “Don’t be afraid. I’m the deputy sheriff. I won’t hurt you, but tell me your name and let me take you to the doctor.” He pointed to his badge in hope of reassuring her. He held the girl tight to his chest to transfer some of his warmth to her. The quicker he could get her to the doctor, the quicker Doc could warm her up and treat that cough. No time to worry about drunken cowboys or lumberjacks tonight. cold with shivers. So much pain racked her body that she didn’t have the strength to resist him anyway. Little lady? Little, maybe, but certainly no lady by his stan- dards. Another cough wracked her chest and set her throat afire with pain. Her thin jacket and the quilt had been no match for the cold, especially after she’d crossed the river. Not enough heat in the day to dry her clothes before chilling her to the bone and causing this cough. She’d lost count of the days since she left home and had no idea how far she’d come. She’d avoided towns as much as possible, only entering long enough to pick up food at a mercantile. Pa had to be on her trail by now, or he’d have others searching for her. Either way, she didn’t plan to get caught and be dragged back to Louisiana. Even now the memory of all that she had endured because of Pa made her stomach retch. She’d die before she let anyone take her back to that. The man called for someone named Clem to go get the doc, and he’d meet him at the infirmary. Maybe he was a sheriff after all since he was sending for help. She didn’t dare open her eyes, lest he’d see her fears again. Until she could be absolutely certain he meant her no harm, she’d stay still and quiet. steps onto what must be a boardwalk or porch. He set her on her feet, and she peeped with one eye while he fumbled in his pocket then pulled out a ring of keys. In the next minute he had the door open and strode through it, car- rying her once again. Antiseptics, alcohol, and carbolic acid greeted her nose. This must be the doctor’s office. Not until he laid her on a hard surface did she open her eyes, half expecting him to be leering over her. Instead he had walked away to light a lamp, which filled the room with flickering shadows dancing on the walls. A glass door cabinet stood against the wall, and another bed sat a few feet away from where she lay. He returned to stand beside her, and she almost shrank in fear at his size. Well over six feet tall, he’d removed his hat to reveal a mass of dark red hair curling about his forehead. His hand caressed her forehead, but she did not flinch, even though every inch of her wanted to. No need for him to know her fears. Instead of resisting, her body relaxed at the gentle tone of his voice. He certainly didn’t fit her idea of a lawman or a cowboy. No one but her ma had ever treated her so kindly. Most people treated her like trash under their feet and didn’t care whether she was well or sick. Still, he was a man. She had to be careful. A woman’s voice sounded, along with another man’s. She turned her head to find a beautiful red-haired woman and an older man entering the room. The one who must be the doctor stepped to her side. “Well, Cory, what have we here?” His eyes held only concern and kindness behind his wire-rimmed glasses. Just having her there gave Libby a sense of safety she needed with two men in the room. Her kind eyes, a green color that reminded Libby of the fake emeralds some of the saloon girls wore, had a tender look to them. “I don’t know. I think it’s been several days. I left home in the middle of the night on Tuesday.” The days and nights had run together as she lost all track of time. Libby tried to sit up but began coughing again. She couldn’t stay here. Pa would find her. Her plan had been to head west then south, where the winter temperatures were not as severe. She’d lost all sense of direction after the first night and had no idea which way she’d come. 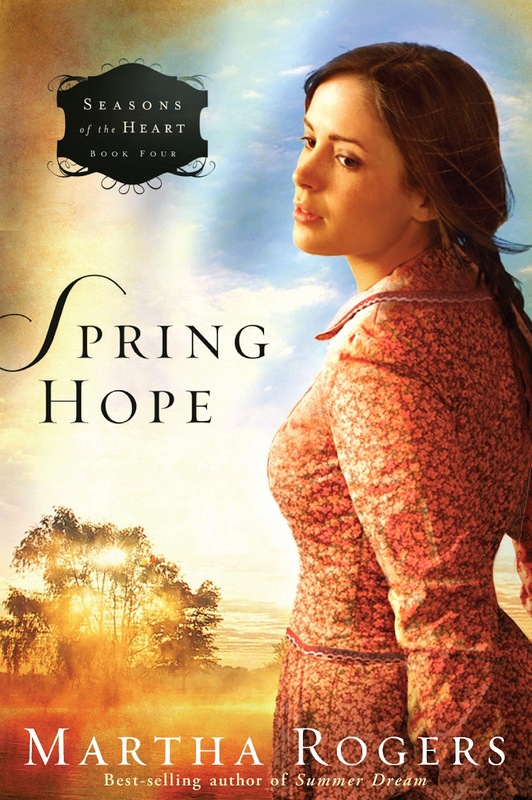 Tears welled in Libby’s eyes, and she squeezed them tight to keep the tears from falling. Though hard, this bed was so much better than the ground where she’d slept the past nights. Hospitals and doctors cost money. That’s why Pa wouldn’t go for the doctor until Ma was too sick to recover. The doctor gave her something that tasted bitter, but she swallowed it and then lay back against the pillow Kate had placed beneath her head. The low murmur of voices ran together in a blur. One of the men said he’d stay, but the other one said something about a wedding. Who was getting mar- ried? Maybe they’d forget about her. The tension ebbed from her body as the medication took over. Someone, most likely the deputy since the doctor was an old man, picked her up and took her into another room, where he laid her on the bed. She almost sighed at the cotton softness of the mattress beneath her. So much better than pine straw and hard-packed dirt. and dirty clothes and slipped a warm gown over her head. Beth Shriver received a degree in social work and psychology from the University of Nebraska. She worked as a caseworker for Boulder County Department of Social Services before starting a family. Beth and her husband of twenty years and her two children live in Texas after moving from their first home in Colorado. 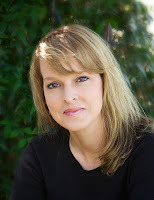 She freelances for the local papers in her area and writes columns, devotionals for magazines, and novels in a variety of genres in both fiction and nonfiction. Annie Bieler sets out on a journey of the spirit when she discovers she was adopted after being found as an abandoned newborn. Her father is strongly against her decision to go as it could mean Meidung, or excommunication from the community and even her family. 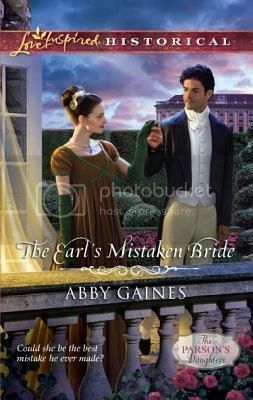 But Annie knows she must find “the path that has her heart.” Her search also takes her away from John, the young man who is courting her. The dinner Bell rang just as one of the milk cows slapped Annie’s kapp with its tail. Now she was late for the evening meal. She pulled the black kapp off her head. When Maggie swatted Annie, the pins were knocked loose. She wiped off the dirt and cow manure then hastily twisted up her hair into a bun and pulled the kapp over her mess of hair. “Need some help?” John Yoder’s dark eyes smiled at her. Her mamm would scold her for her tardiness and her unruly hair, so she quickly grabbed two containers of milk, clutching them to her chest. When she turned around, John was removing the cups from the Guernsey’s udders. “Danke. The boys must have missed a couple.” The cover of one of the containers lifted, causing milk to spill out onto her black dress. Annie wiped her hand on her white apron. Frustration bubbled up and burst out in an irritated groan. “Now what?” John opened the barn door and shut it behind them. Annie pointed to the milk stain and slowed her walk so he could catch up. Her mamm wouldn’t be as upset with her if she saw Annie with John. “I spilled on myself, my hair’s a mess, and I’m late.” She jug- gled the containers to keep them in place as she walked. “Jah, thought I’d come by to say hallo.” He took one from her then reached for the other. “Suit yourself.” He shrugged as his grin widened. They walked together toward their houses, which were down the path from one another, divided by a dozen trees. John was three the day Annie was born and had been a part of her life more than her own brothers were at times. His brown hair brushed his collar as he walked with her, holding back to keep in step with Annie. “Aren’t you late to help with cooking?” He nodded toward her white clapboard house. A birdfeeder was hung at the far end of the porch, which had a peaked black roof, and daisies filled her mamm’s flower garden in front of the house. Mamm created a colorful greeting of flora for every season. He nodded. “Nice day for it too. The sun was bright, but there was a breeze that kept us cool.” He lifted his strong, handsome face toward the sunshine and took in a deep breath. He was just trying to irritate her, so she ignored his jab. John knew she preferred being outdoors and that she would trade places with him in an instant. When the time was right she would help with the tobacco harvesting and, along with many others, would then prepare the meal after the task was done. “It looked warm outside to me.” She took the milk from him and kept walking. The last of the warm summer days were coming to an end, and soon it would be time for fall harvesting. snapped his suspenders and turned onto the trail leading away from her. “John Yoder . . . ” was all she could say this close to her daed’s ears. She watched him continue on down the roughed-out dirt lane thinking of what she would have said if she could. Her gaze took in the many acres of barley, corn, and oat crops and then moved to the Virginia mountainside beyond, where the promise of fall peeked out between the sea of green. Annie walked up the wooden stairs and into the kitchen. The room was simple and white, uncluttered. A long table and chairs took over the middle of the large room, and rag rugs of blue and emerald added color and softness. For a unique moment it was silent. “Annie?” Her mamm’s voice made her worry again about being late, with a soiled dress and unkempt hair. Her tall, slender mamm stopped picking up the biscuits from a baking pan and placed both hands on the counter. She let out a breath when Annie came into the kitchen. “Ach, good, you brought the milk.” Mamm’s tired gaze fell on Annie. “I was talking with John.” She opened the cooler door and placed the milk on the shelf. complexion, which was more like their daed’s. “I’m a growing child. Right, Mamm?” Thomas took the basket of biscuits to the table and set them next to his plate. Mamm placed a handful of biscuits in the breadbox and brushed her hands off on her white apron. reached the edge into sarcasm, but she smiled to make light of it. 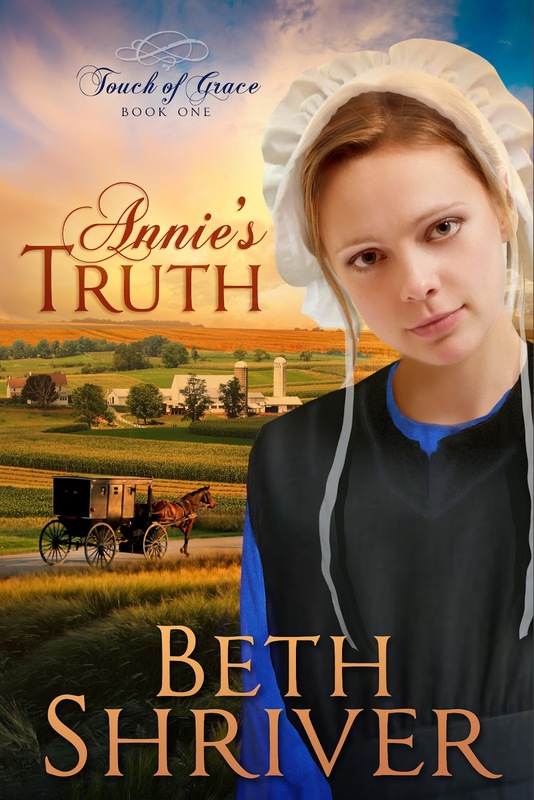 Didn’t her mamm know that her obvious nudging turned Annie away from John, not toward him? Her mamm’s brow lifted just as the buzz of her family coming into the room sidetracked her attention from Annie and Hanna. The younger ones were restless with hunger, and the older sib- lings talked amongst themselves. Frieda, Hanna, Augustus, Eli, Thomas, and Samuel all sat in the same chairs they were always in, and Annie took her assigned seat with the rest. Her daed sat at the head of the table and waited with watchful eyes until everyone was quiet. When Amos folded his hands, all followed suit, and they all said silent grace. Geef ons heden ons dagelijks brood. Give us this day our daily bread. Amen. Annie thought the words then kept her eyes closed until she heard movement from the others. Amos passed the food to his right until it made a full circle back to him. “We’ve almost finished with the Lapps’s tobacco field,” Annie’s oldest brother, Eli, informed Amos. He and Hanna had Mamm’s silky blond hair and blue eyes, but Hanna didn’t have her disposition. Amos nodded and lifted a bite of chicken to his mouth. “Ach, I’d probably do the same if it were you.” Mamm waited a moment until Daed’s mouth lifted into a half smile. He nodded for them to eat again. Conversation was uncommon during meals, so Annie let her mind wander. Harvest season was approaching, and the excitement of upcoming weddings was on everyone’s mind. Although the courtship was to be kept quiet, most knew which couples would most likely be married in the coming months. Annie’s mind went to John, the one she knew her parents, as well as his, would expect her to be with. Although she had feel- ings for him, she wished her spouse would not be chosen for her. It had changed her relationship with him just knowing what their expectations were. He had been her best friend, but she now kept him at bay, hoping for more time before the pressure became too great and they were forced to marry. She put the palm of her hand to her forehead, resting there with thoughts of who else she could possibly be with from their community. Names went through her mind, but not one appealed to her in the same way John did. “Let’s ask Mamm.” Hanna’s eyes shone with excitement. Annie felt a lift in her spirits at the thought of having the privi- lege to rummage through their special treasures. She looked at her mamm laughing at her brother’s story of his britches getting caught on the Lapps’s fence. 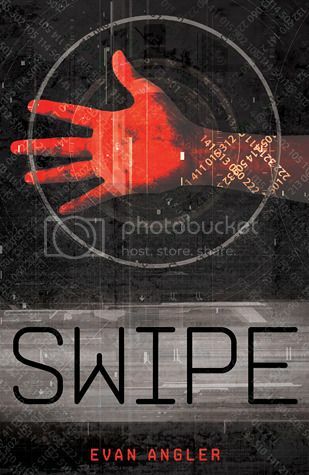 Her smile faded when he showed her the hole the wire made, which she would be mending that evening. “You ask her,” Annie urged. Hanna was the closest to Annie’s age and her confidante, as she was Hanna’s. “After dinner.” Hanna got up from her chair to help. Frieda started the hand pump as the others gathered the dishes and put away the extra food. Once the dishes were cleaned and dried, Hanna and Annie went to their mamm, who stacked plates in the cupboard as the girls walked over to her. “What do you want to ask me?” Mamm continued with the dishes until the last plate was put away. Hanna and Annie looked at one another. Annie furrowed her brows to make Hanna talk. Hanna grabbed Annie’s hand, and they walked quickly from the kitchen. “Jah, Mamm,” they said in unison. Annie hadn’t looked through her chest since she’d given up the doll her mamm had made for her. Since it was her first, Annie had chosen to store it after receiving another from her aunt. the same as the last time she’d been there. A chest of drawers held baby clothes, and beside it stood a cabinet full of documents and paperwork Daed kept but never seemed to use. Special dresses and a bonnet hung on the far side of the room alongside a box of old toys her daed and Eli had made. The girls spotted the chests lined up next to one another, where they would remain until their owners were married. Amos had made each of his girls one in which to keep their sentimental belongings. One day, when they had their own homes, they would have a memory of their daed and the things they held dear during their childhood. Annie ran to the last one. Amos had lined them up according to age, so Hanna’s was right next to Annie’s. “You first,” Annie told Hanna. “Nee, you.” Hanna moved closer to Annie and watched her lift the heavy wooden lid. “I can’t wait.” Hanna went to her chest and opened it as well. “Ach, I’d forgotten.” Hanna reached for the doll Mamm had made for her. Annie grabbed hers, and they examined them together, just alike and equally worn. “I loved this doll! I had forgotten how much I played with it when I was a child.” The black bonnet was torn around the back, and the hay stuffing peeked out the back of the doll’s dress. “Mine is tattered as well. I’m glad we put them away when we did, or there would be nothing left of them.” Hanna glanced at Annie’s doll. Annie placed the doll in her lap and pulled out her wedding quilt, the one of many colors. Hanna’s was a box design, and Annie’s was circles within circles, resembling the circle of life. She ran her hand across the beautifully stitched material and admired her mamm’s handiwork. When she looked up, Hanna was doing the same. “The truth has already been found.” Hanna reached for her family Bible as she spoke. Annie nodded, humbled, and looked for her special Bible. She moved a carved toy Eli had made for her and a book her mamm had given to her. Finally, at the very bottom, she found a Bible the minister gave her. As she opened it up, she skimmed through the flimsy pages. She went to the very front of the book and smiled when she saw how she had written her name as a young girl. The letters were varied sizes and uneven. Her mamm’s and daed’s names were both written under hers, their dates of birth, and a list of her brothers and sisters under that. Births and other dates of additional relatives proceeded on to the next page, including the dates of their marriages. Annie flipped back to the first page and noticed the day of her birth was missing. Only the year was written; the day did not precede it, only the month. “Hanna, come look.” Annie handed her the Bible and searched her sister’s face for some sign that she knew the reason for the omission. Annie thought back to the days her family recognized her birthday—one in particular. tradition, Annie didn’t think much of the exact date of her birth. Thoughts of self were discouraged. Everyone was treated equally so as to prevent pride. On Annie’s thirteenth birthday she had been surprised by her family and friends with a party. A cake with thirteen candles was brought out, and gifts were given. Her brother had made her a handmade wooden box, and her sister, a picture of flowers. Other useful gifts such as nonperishable food and fancy soaps made by her aunt in the shape of animals piled up on the picnic table next to a half-eaten cake. The best gift was from John. He had taken an orange crate and decorated it with his wood-burning tools. It was filled with small, flat wooden figures of every significant person in her life. The time and care he had put into the gift had touched Annie. She treated the present with such care she had thought it wise to store it in her hope chest. Now Annie wished she had enjoyed the box more. She searched for it now and found the pieces scattered throughout the bottom of the chest. She picked up the wooden figures one by one, examined them, and put them in the box. Although they all looked alike, as no graven images were per- mitted, she used her imagination to pick out each person. Frieda, Hanna, Augustus, Eli, Thomas, and Samuel were all accounted for, then Mamm and her daed, her mammi and dawdi—grandparents—then John and her. All of the boy fig- ures looked the same as well except for their height, facial hair, and a hat her dawdi always wore. She’d envision John’s figure to be the exception. He had a thick head of black hair and always wore it a bit longer than he should. He could always get away with such things due to his charismatic personality. That was something not encouraged, so not often seen in their community. Annie ran a finger along the small wooden likeness of John and wondered if she shouldn’t dismiss him so readily. As a friend she adored him, but the thought of marrying him annoyed her. But did that feeling come because of him, or was it her? 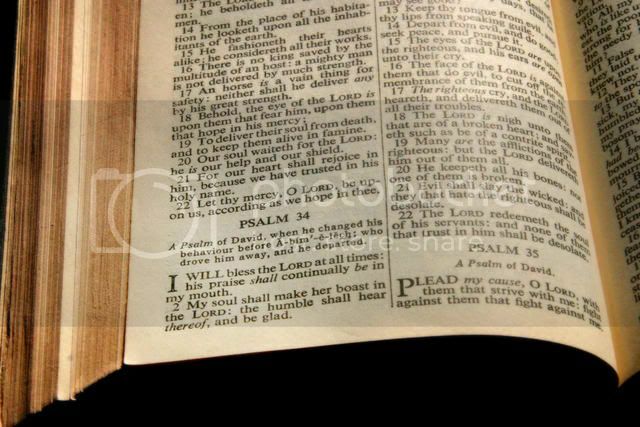 “The only thing left to do is ask.” Hanna closed the Bible and handed it to Annie. set them on her knees. Weekend Report (#35) and Giveaway Winners!! Weekend Report (#34) and Giveaway Winner! Weekend Report (#33) and Giveaway Winners! Weekend Report (#32) and Giveaway Winners!